Incredible trek. As an incredibly scenic and physically challenging. 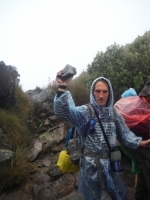 But the best part of the trip were the first class guides Carlos and Jorge Luis and awesome porters - men among men. Trip of a lifetime. My son and I had a great time. The trail is like no other in the world. 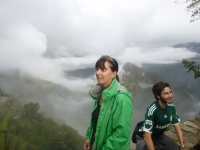 The trek was a great experience. It was sometimes a bit hard but worth it. My favorite thing was the food - thumbs up for the chef. Breakfast, lunch, dinner everything was so good ! It was the best food I've tasted on my trip through South-America. I would do it again just for the food. 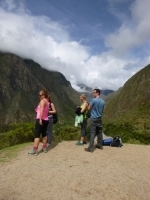 The Inca Trail was a great experience. It was very challenging at times (most of the time) but very rewarding. 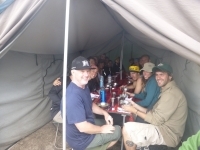 We were very lucky with the group, everyone was friendly and supportive and we had a lot of fun together. 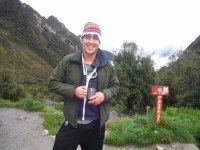 The Inca Trail was a great challenge with fantastic rewarded. 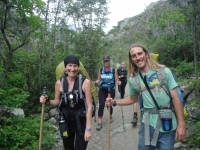 The Inca Trail Reservations crew was a solid support team. Our guide, Carlos, was very kind and helpful. He was full of great information and really brought the group together like a family. What an excellent adventure ! 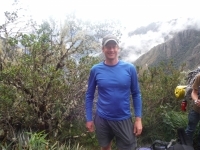 Such a privilege to pound the ground the Inca's did, and see the amazing sights - from ruins to hummingbirds. King Carlos was a fabulous guide and the porters and chef - incredible :) This was one of my favorite experiences on my South American holiday. 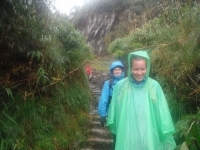 The Inca Trail was one of the most challenging and beautiful treks I've ever experienced. 4 days of sweating, hurting and suffering. I can say that it's all worth it. Seeing things of natural beauty. This is an experience I will never forget. 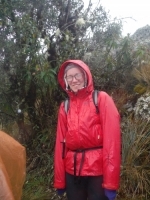 Sleeping in tents, walking through the rain, getting extremely cold and extremely hot. 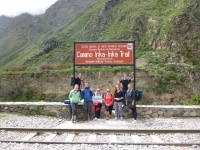 A really enjoyable trek with great porters, an excellent cook and our friendly and knowledgeable guide, Ronnie. 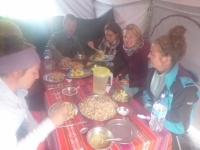 Woken up with coca tea each morning by the friendly porters, we set out on the Trail with a good breakfast inside. Humming birds fly to quickly ! Pijn is fijn: el dolor es un gusto. 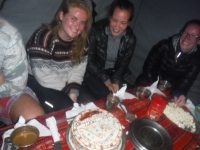 El Camino del Inca no es fácil, es un viaje de 4 días en el que sufres. Subiendo montañas, bajando escaleras, duchas frías y dormir en carpas con colchones finos. The trip itself is a great experience. Definitely something everybody should do. Amazing views all along the trail. Sometimes it gets a bit hard, mostly because of the height. 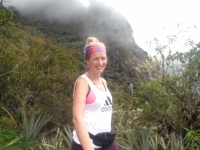 But you don't need to be a real hiker to make it to Machu Picchu ! 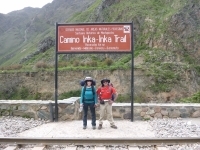 As soon as I signed up to do the Inca Trail I couldn't wait to start it. Every day was as described to us in our briefing and it did not disappoint.